The LAIA collection comprises tables, chairs, fireside chairs, stools that form a true interior landscape. 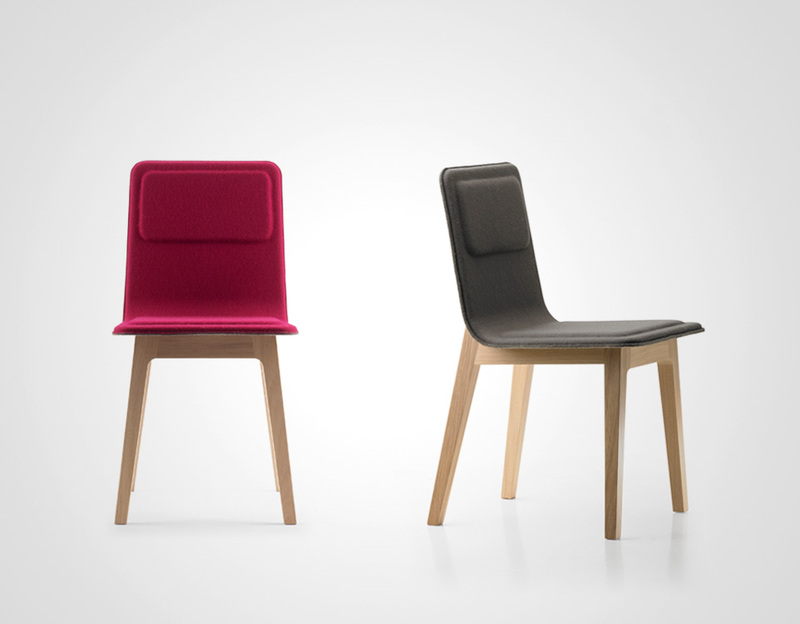 The back of the chair back is covered in wool felt and the front in wool fabric or leather. The chairs are comfortable, pleasing to the eye and touch. Durability lies at the heart of the reflection undertaken by ALKI.We take durability into consideration when designing the products. We devote much work to durability to ensure we do not to fall into the fashion trap and that the products are long-lasting.